The name Prevacid explains the intended purpose of the chemical compound lansoprazole. It is supposed to “prevent acid” – or at least reduce the amount of acid produced by the user – by blocking the cells in the lining of the stomach. More specifically, proton pump inhibitors (PPIs) like Prevacid work by decreasing the effects of the hydrogen-potassium adenosine triphosphatase enzyme system. While makers of Prevacid and other PPIs readily admit that there may be mild side effects, such as headache, vomiting, and nausea, for consumers who take these medications, the consequences of PPI usage may lead to acute interstitial nephritis, chronic kidney disease, and renal or kidney failure. The pharmaceutical lawyers at Moll Law Group work tirelessly to advocate for people nationwide who have been injured by dangerous products. A Prevacid attorney at our firm can guide your family and you through the legal process. Billions of dollars have been recovered in cases in which we have been involved. 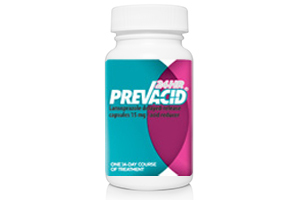 Prevacid and other PPIs are commonly prescribed for patients suffering from chronic heartburn, stomach ulcers, acid reflux disease, oesophagitis (inflammation of the gullet), Zollinger-Ellison syndrome, and other stomach conditions. PPIs are available both by prescription and over-the-counter. While they do help many people by reducing stomach acid, our Prevacid lawyers are aware that several studies have indicated that users may experience long-term complications, such as acute interstitial nephritis, chronic kidney disease, and renal or kidney failure. Marketing defects: flaws in the way that a product is presented to consumers, rather than how it is designed or manufactured. Marketing defect cases may allege that a manufacturer, wholesaler, or retailer provided inadequate instructions as to how the product could be safely used or that there should have been a warning about certain risks posed by the product. Typically, allegations in a failure to warn lawsuit focus on the hidden or non-obvious dangers of a product. The burden of proof is on the consumer to prove each element of his or her case by a preponderance of the evidence. In strict liability cases, this means simply that it must be more likely than not to be true that the defendant’s product was dangerously flawed and that the victim was hurt as a result. The elements of a claim may be different under other theories of liability, such as negligence or breach of warranty. In product liability cases, a successful claimant may be able to recover compensation for medical expenses, lost wages or loss of future earning capacity, pain and suffering, and loss of enjoyment of life, among other costs and losses. Statutes of limitations and statutes of repose limit the time during which an injured consumer or the family of someone who dies due to a dangerous product may file a lawsuit against the responsible party. This period varies according to state law. As a result, it is important that someone who has been injured by Prevacid or another proton pump inhibitor contact an attorney as soon as possible. The pharmaceutical industry is a multi-billion dollar enterprise. Drug manufacturers and distributors fight against allegations of liability, knowing that, once one consumer has been successful, others similarly situated are likely to come forward. At Moll Law Group, our Prevacid lawyers work vigorously to help victims pursue compensation for their injuries including acute interstitial nephritis, chronic kidney disease, and renal or kidney failure. To talk to an experienced proton pump inhibitor attorney, call Moll Law Group at (312) 462-1700 or contact us online. There is no charge for the first consultation, and most cases are accepted on a contingency fee basis. We help people throughout the United States, including in California, Florida, Illinois, Ohio, New York, Texas, Michigan, and Pennsylvania.